Hope you all had a lovely Christmas and had a great start to the New Year -V Best Wishes for the rest of 2017. Unfortunately have not got a chance to do many posts over the last few weeks as have been v busy and now have so many posts planned / want to do. 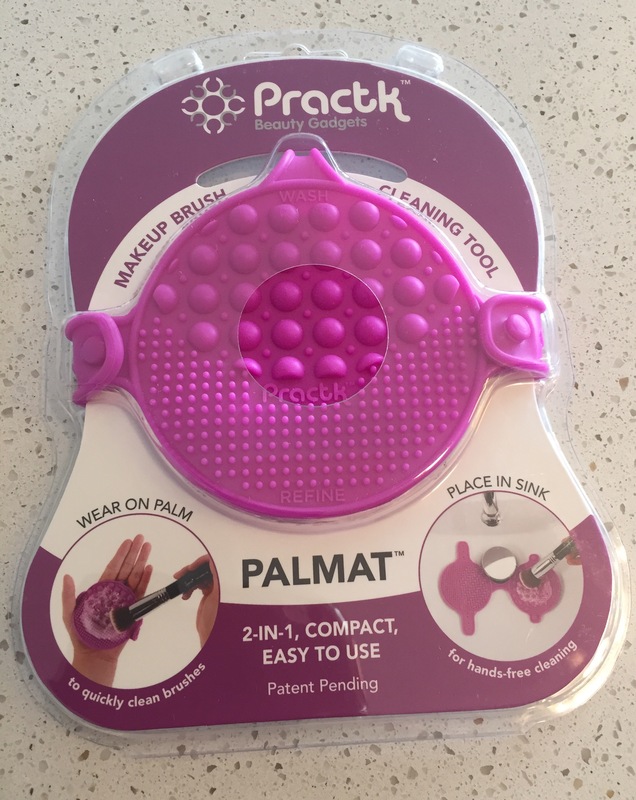 One of these products is one I was v lucky to receive for free a few weeks back and was perfect to take with me travelling (portable and light) – the Palmat 2-in-1 make up brush cleansing tool from Practk Beauty Gadgets. 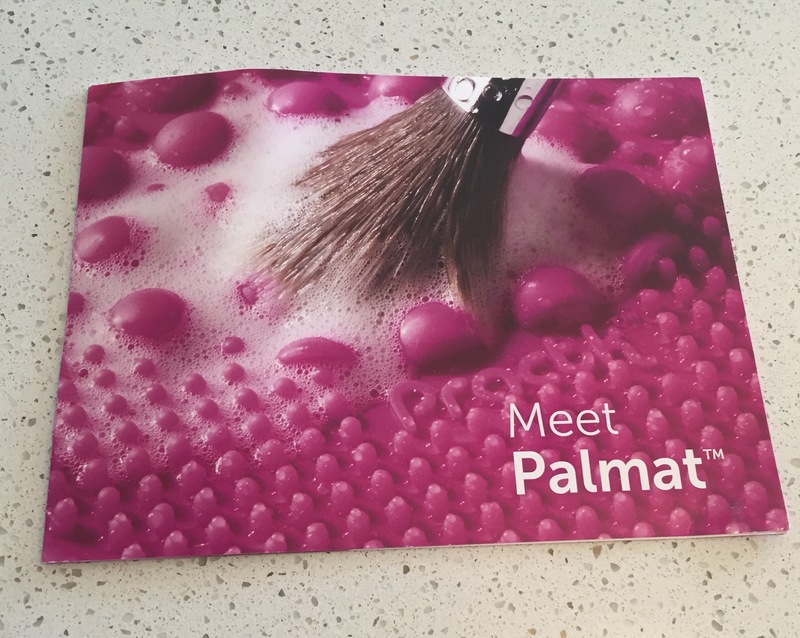 I was intrigued by this product as although I have seen ‘mats’ for washing makeup brushes, had never seen this particular type of brush cleansing tool/mat. Place in sink for hands free cleaning. Removes harmful build up and bacteria from eye and face brushes. 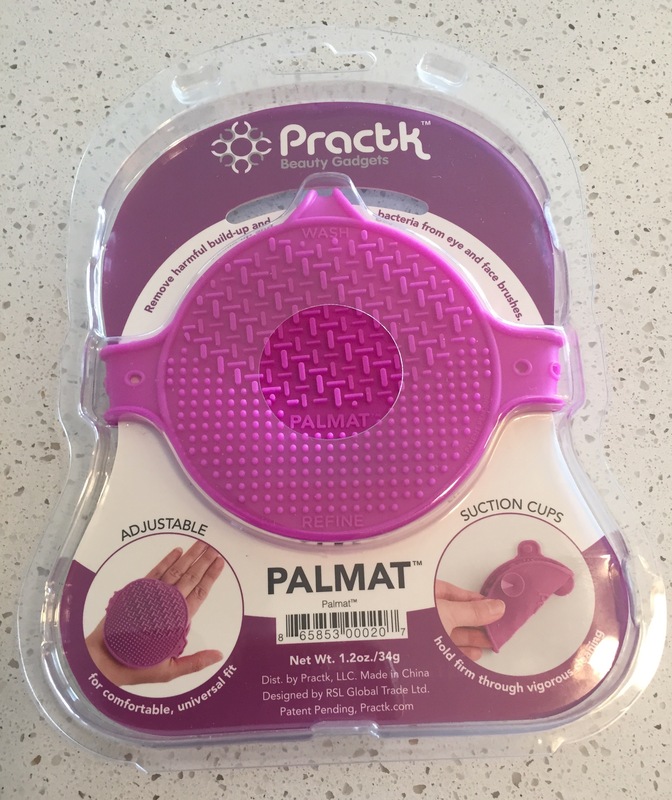 I found it v easy to use and it fits v well on palm of my hand, suction cups also hold it firmly on surfaces to enable you to clean brushes properly. 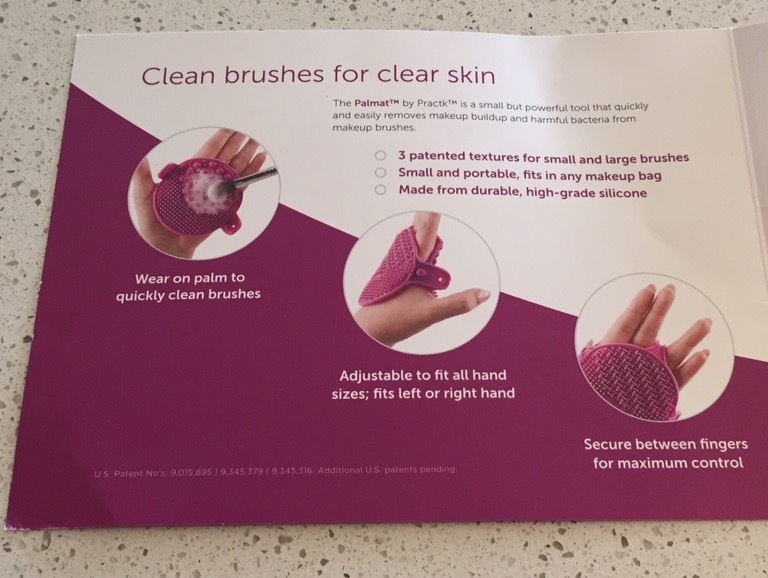 There are wash ridges and refine ridges on each pad and when using any light cleanser / brush cleanser the wash ridge section removes all the makeup really well from the brushes after a few washes and then the refine end helps to remove any residue and brushes do come up as good as new after drying. I would definitely recommend this cleansing tool especially if you have a lot of brushes, and prefer a base to clean your brushes on as it is effective for both small and large brushes, perfect for travelling, reasonably priced and I feel this product will also be v durable as well as the silicone appears to be off a high quality – so no need to repurchase for a while unless you would like a few of them. As always remember to look out for the best value / offers available before purchasing – cannot currently find many UK sites stocking this product however I have listed one below.